Time to stock up your movie library with another classic from Disney. 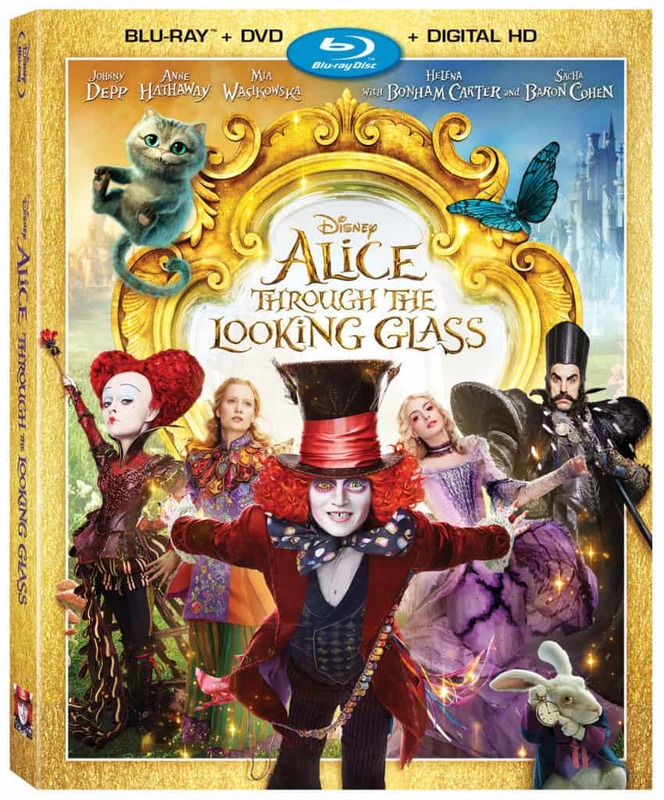 Disney presents the spectacular live adventure Alice Through the Looking Glass. The all-star cast from the 2010 blockbuster is back with Johnny Depp as the Mad Hatter who’s desperately searching for his family; Anne Hathaway as Mirana, the kind, mild-mannered White Queen; Helena Bonham Carter as Iracebeth, the short-tempered, big-headed Red Queen; and Mia Wasikowska as Alice, the heroine at the heart of the story. Sacha Baron Cohen joins the ensemble as Time, a magical being that is part human, part clock, and the late Alan Rickman—to whom the film is dedicated—is the voice of Absolem, the blue Monarch butterfly who metamorphosed from the blue caterpillar “Alice in Wonderland.” Bring the journey home October 18th on Digital HD, Blu-ray™ and Disney Movies Anywhere.